New Study: Vaccines Linked to Decline in Mental Health and Social Interaction - A Cause of Increase in Mass School Shootings? A recently published study in the journal Brain, Behavior, and Immunity titled Low-Grade Inflammation Decreases Emotion Recognition – Evidence from the Vaccination Model of Inflammation links low-grade inflammation to a decrease in mental health and human social interaction. Health Impact News found the study to be of great significance, because the researchers have not only proven that there is a link between vaccinations and social impairment, but that there could also be a link between vaccinations and depression, which may explain why U.S. News recently reported that between 2013 and 2016, the diagnosis of depression had risen by 33 percent in the U.S. alone. 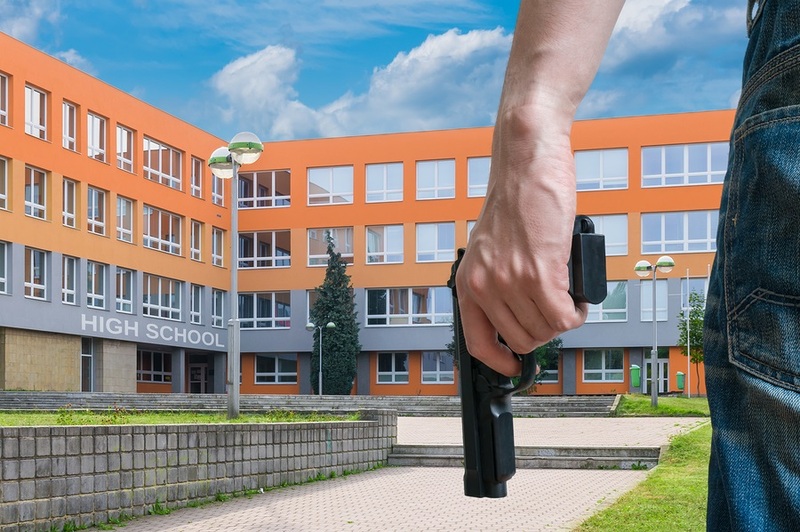 Furthermore, the results of this study made us question whether or not the vaccinations could be behind the increase in mass violence, particularly school shootings, where the shooter is often profiled as being socially deviant and on psychiatric drugs. Thank you for reporting on this issue. It takes real courage to stand up to the Vaccine Extremists. I've been saying for months: "Guns don't cause school shootings; vaccines cause school shootings." As a distraction, it is useful for the corporate media to use the meme that the "mental health" drugs can cause depression and suicidal tendencies in teenagers. But they don't ask, in their public forum: Why are the levels of mental illness at record levels? As an aside, I had the childhood vaccines of the 1950s and early '60s. I was quite depressed through childhood and young adulthood until, at about age 30, I was given birth control pills (estrogen and progesterone) to control endometriosis and polycystic ovaries. After one month on one particular drug, TriPhasil, I realized (happily) that I had not been depressed for a month. So, yes, the depression that I suffered was linked in large part to hormone imbalance. OK, I was naive in those days. In my 1986 letter to manufacturer Wyeth Laboratories, I thought they should research this miraculous (to me) finding. They were not interested in their drug holding depression at bay; they were only interested in what my negative side effects were. Needless to say, I would not answer their questions or give them the name of my doctor! So where is that one comment which is noted in "join the discussion"? Do we get to leave comments but not read them? Christina, let's not ignore the fact that many of the mass publicized shootings are actually drills or government/police operations. These are the ones where multiple shooters are reported but both their physical and news presence are quickly whisked away so that the people are either not informed or immediately forget. We don't want to assume the names and faces made popular by the mainstream media are the real lone nutcases. If anything, they are dupes who were set up to take the blame and make us think the 2nd Amendment is at fault. Maybe we can research to find out what drugs are being used by the people who are planning these Operation Gladio-style operations.